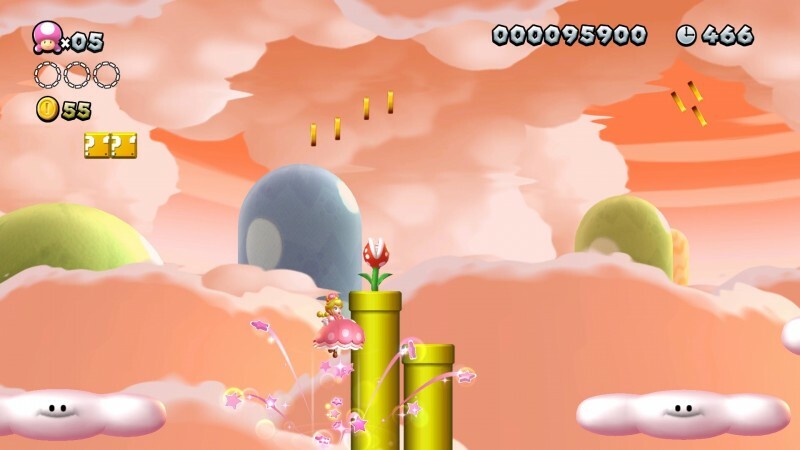 As the most recent entry in the modernized 2D platforming series, New Super Mario Bros. U provided a wide array of fun, colorful stages for you to run, jump, and explore through. 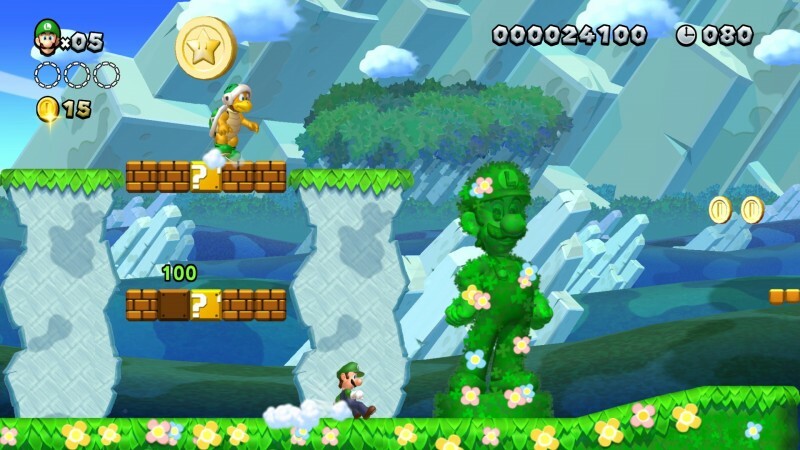 The post-release add-on New Super Luigi U added a second campaign featuring shorter levels and a light speed-running element. With New Super Mario Bros. U Deluxe, Nintendo bundles these two campaigns into one package and adds a new playable character to give Switch owners the best way to experience this fan-favorite platformer from the Wii U era. 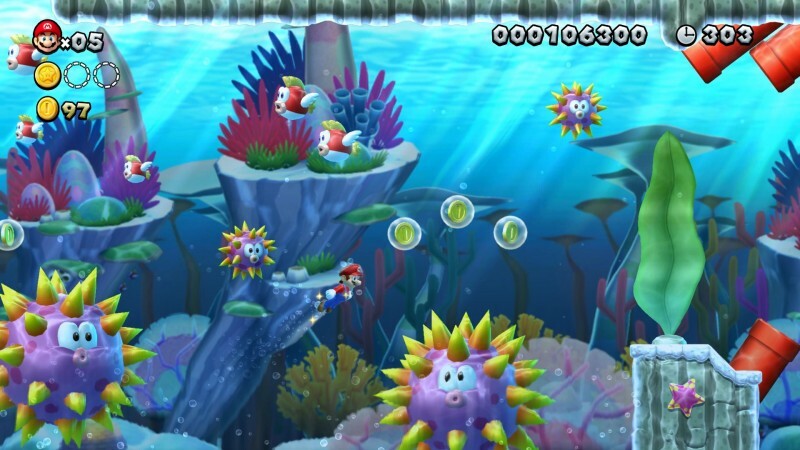 With both the base and downloadable content in tow, New Super Mario Bros. U Deluxe delivers a substantial 164 levels to play through. 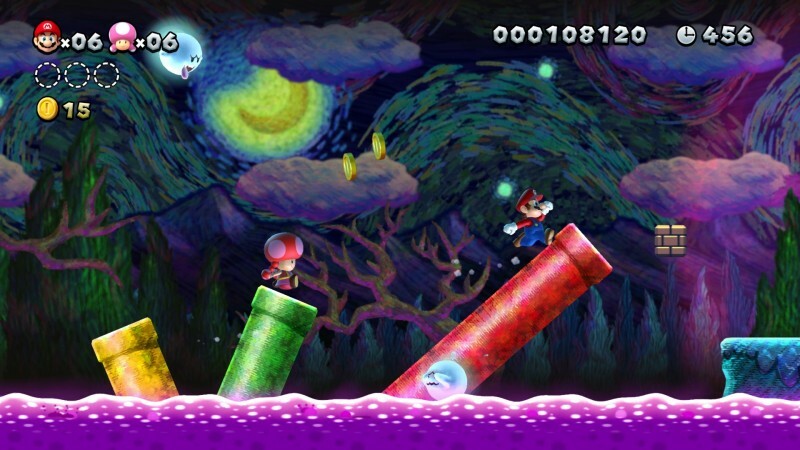 Mario U’s story houses standard series fare, letting you take your time scouring for hidden locations, while New Super Luigi U gives you less time to run through levels designed for Luigi’s high jump and slippery controls. With each level holding myriad secrets to uncover, both stories give you reason to revisit ones you’ve already completed. 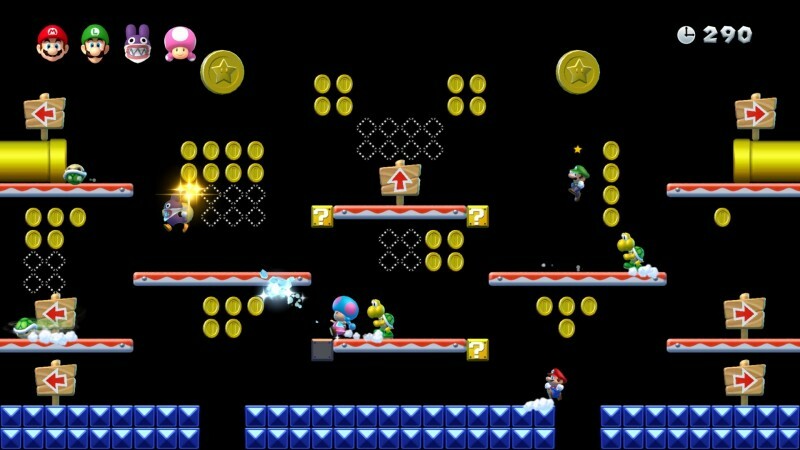 Discovering every tucked-away area is exciting, but my favorite reason to keep playing is to collect the star coins hidden in each area, as they unlock bonus levels. The story modes start out simple, but up the ante as you approach the final showdown; simply jumping from ledge to ledge while stomping enemies in the early goings quickly escalates to dodging fireballs and invincible baddies while riding a snaking platform through a mid-game castle. Regardless of the difficulty, I had a blast platforming through the thoughtfully crafted challenges, never feeling overwhelmed by the task in front of me. Playing using the original lineup of Mario, Luigi, and Toad offers a fun, satisfying challenge. When New Super Luigi U first released as DLC for Mario U, it added the pseudo-antagonist Nabbit as a playable character. While a new character is always a welcomed addition, Nabbit is impervious to any damage from enemies, so it felt more like a cheat code than a new way to experience the game. 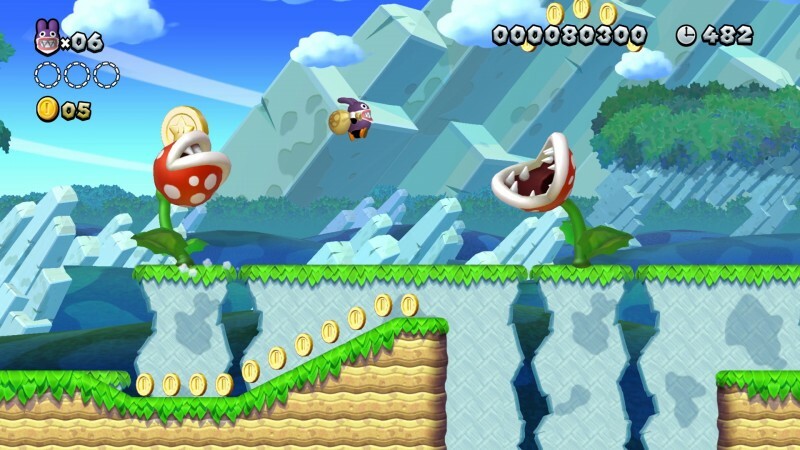 Nabbit is still available for the least experienced players, but Deluxe introduces Toadette, who controls and takes damage normally. 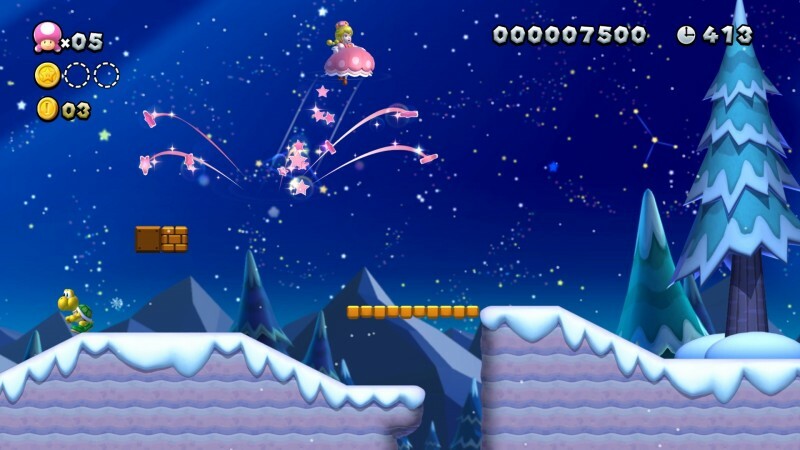 She is also the only character who can pick up the Super Crown power-up, which transforms her into a Princess Peach-like character known as Peachette. 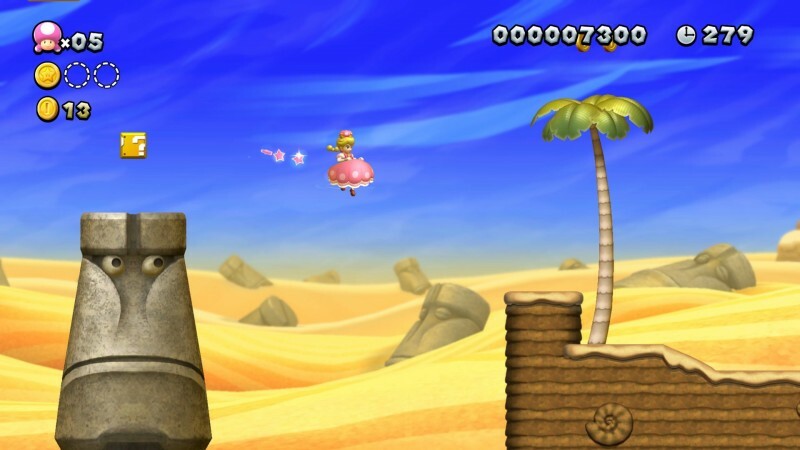 As Peachette, you can float gently to the ground, covering large distances, and double jump, making sequences a bit easier. 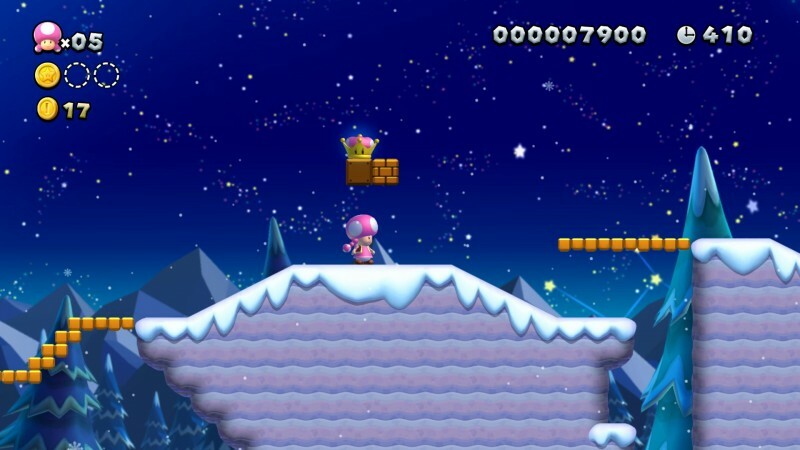 Toadette is a great in-between character for players who want to experience the stages with a bit less difficulty, but don’t want to breeze through as Nabbit. Outside of the main stories, you can also complete challenges to earn medals. These act primarily as diversions to the main attraction, but trying to beat your time in a speedrun or topping your score of bouncing off of strategically placed enemies is addicting. 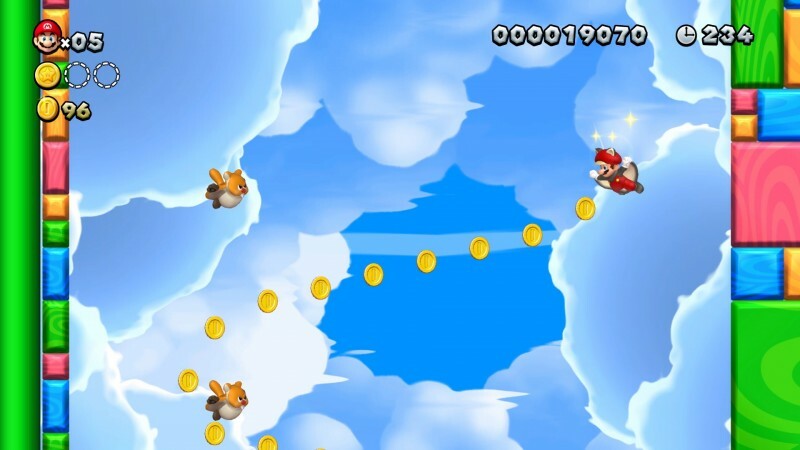 You can also play Boost Rush, where you collect coins to increase the auto-scroll speed, and Coin Battle, which pits you against friends to see who can grab the most coins in an area. 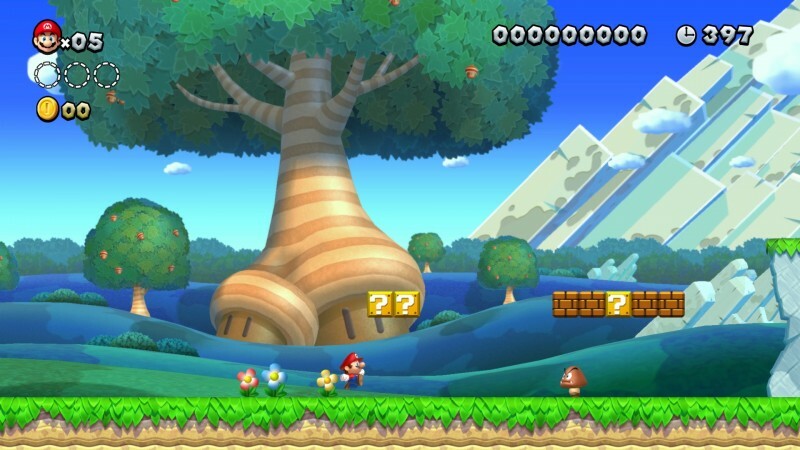 One of the big draws for the New Super Mario Bros. series is its fun local cooperative play. 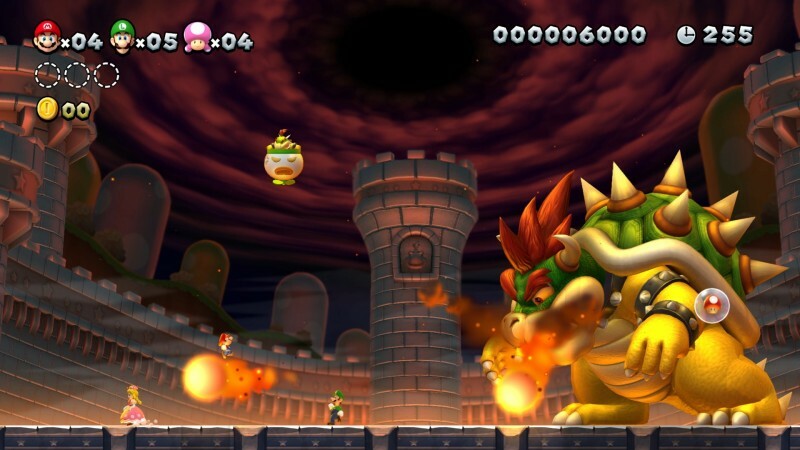 Sitting next to friends and running through the stages is always fun, even if things get increasingly chaotic the more players you add; if you want to make real progress, you should probably steer clear of four-player mode, but inadvertently bouncing off each other’s heads and into enemies or lava pits always results in laughter. Each player uses a single Joy-Con, so you need to buy extra if you want a third or fourth person to your co-op chaos. 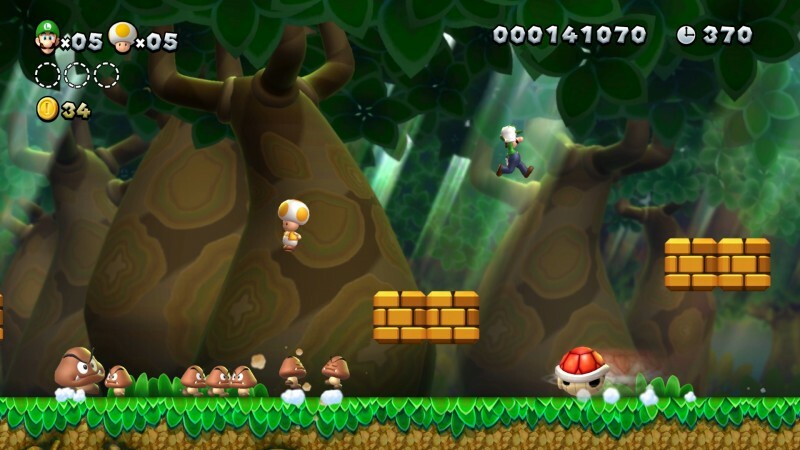 With so many stages to explore and master, New Super Mario Bros. U Deluxe is a terrific way to experience this game again or for the first time. 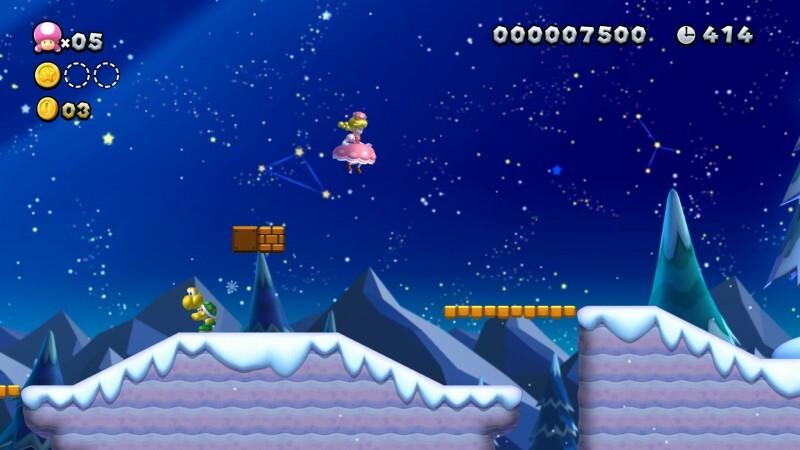 Toadette is a good addition for less-experienced players, and she makes some of the star coins easier to reach. 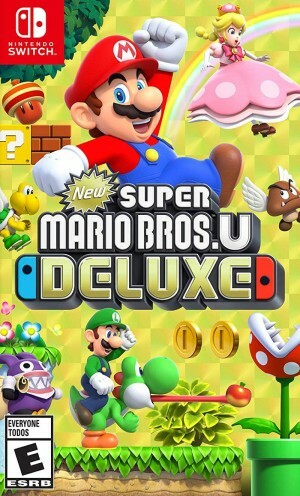 While I’m disappointed that this release doesn’t include more additions to the original package, New Super Mario Bros. U Deluxe is still a great game at its core. Summary: This port doesn’t add a ton of new content, but it’s still the best way to play an already fun platformer.